I regularly get emails from readers asking if it’s truly possible to travel the world long-term with a family. Although it involves a bit more logistical work than throwing some things in a backpack and going solo, absolutely – family travel is possible, and according to the families interviewed in this article (including two families with six kids! ), it’s an enlightening experience for all involved. To complete this series about the good/bad/ugly aspects of travel, I’ve interviewed nine long-term/full-time travelling families who offer their words of wisdom about the good, the bad, and the ugly of family travel, so you can make your own decisions accordingly. 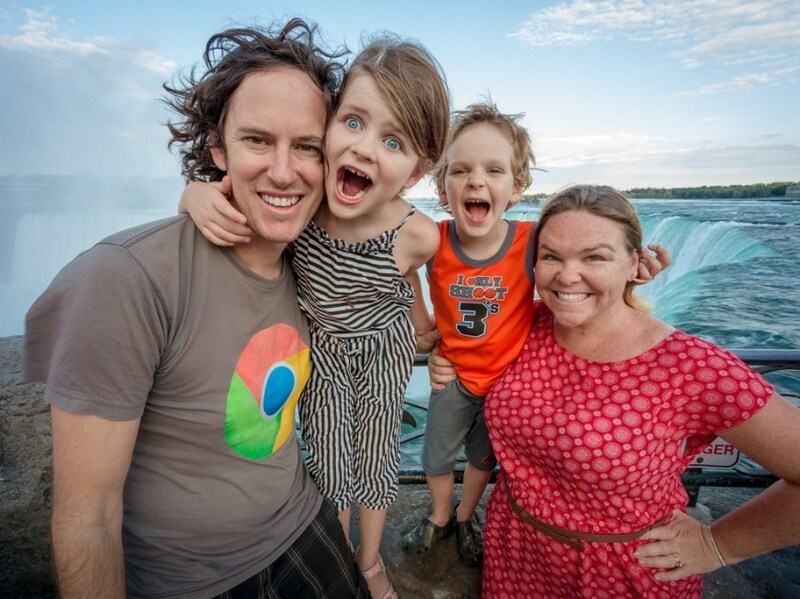 The soultravelers3 are digital nomad pioneers who sold everything (10 years, 48 countries and five continents ago) and retired early to educate their child around the world as a trilingual global citizen on a tiny budget. Now, 14 year old Mozart is singing and writing songs about it on her first album! Now at 14 she has graduated high school and started college, is fluent trilingual/triliterate in Chinese, Spanish and English, writes amazing songs in all three languages (she has two songs in two movies), just starred in her first dramatic movie and is starting on her first album. She just spoke at the NAACE conference for UK educators and is invited back next year. At 13 she got a higher SAT score than 96% of seniors who take it, so she got a High Honors Award from Johns Hopkins University CTY. Her travel, world schooling (primarily homeschooling with dips into local schools for language) has had a huge impact on her life and it is already clear that it always will. Educating her this way was the best decision of our lives and we also stayed very close and had a lot of fun along the way. I highly recommend adding fluent languages to your travel with kids as you can’t really know a culture without knowing the language and it will serve them well their entire lives. We’re also really glad we toured the world with a violin and piano for her (no easy task but worth it). We’ve had to slow our travel down and do it more in the US this last year because it became clear that Mozart’s passion for music and acting was connected to an extraordinary talent. But we still explore the US by road trip and plan a trip to Europe next spring. If a teen has travelled extensively and develops gifts that require them to be physically in a certain location, that could be a downside, but we just embrace it as we do all things and find ways around restrictions. Just as we had Spain and Asia as extended bases, now we have Los Angeles. I think the best years for travel are from the time they can read and all through primary years and middle school. If a teen has never travelled, then teen years are fine, but if they have already done extensive travel, it is often a time to explore other things and prepare for or go to college. So the bad might be, beware of your timing. I’d prefer to be on the road more, but my teen’s needs mean we have to fit it in where we can. I think we got that worst nightmare in 2009 when I had a bike wreck and needed surgery as I broke my arm (and it was paralyzed for a year). It took me a year to recover from that, but even worse, the antibiotics given to me in surgery ended up giving me a horrible stomach/digestion disorder that almost did me in! I was very ill for four years and was headed for dirt. I saw experts on three continents and finally one on the fourth ( Australia) helped me, alongside a great nutritionist in NY. That whole journey was extremely hard on our whole family, yet it didn’t stop our travel, but it slowed us down considerably. I am still not 100% but much better. How to avoid? I think you use precaution, eat well, take care of yourselves, but there is no way that you can totally avoid all disasters no matter if you travel or stay at home. Nancy Sathre-Vogel is Mom to Family on Bikes, a family of four who is most known for riding their bicycles from Alaska to Argentina. She also lived as an expat in five different countries for 14 years, and has spent a total of five years living/travelling on her bicycle. Now, they live in Boise, Idaho, contemplating the next phase of life as soon-to-be empty nesters. 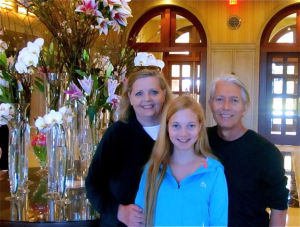 The best part of family travel is simply being together and working toward a common goal. When we are home, we’re all pulled in many different directions – school, work, clubs, friends… Leaving all that behind to hit the road as a family gives you time to just be together. I honestly can’t think of a bad. I am always flabbergasted by all the websites and articles talking about how hard family travel is and how much gear you need and yadda, yadda, yadda. I’ve always had the philosophy that parenting is very intuitive, and travelling with kids is nothing more than an extension of that. My kids travelled their whole lives until they were 13. They explored the amazing rock hewn churches of Ethiopia, and played with monkeys in Malaysia. The swam with sea lions and scuba dived with turtles. They climbed Mayan temples and danced in Carnival parades. Those things were all fabulous – no question there. But those things came at a cost. My sons paid a price for their childhood of travel, even if they don’t know it. There are good things about being on the swim team or soccer team. Kids learn a lot from being in Boy Scouts or on the robotics team. Having the opportunity to dive in and learn things in depth comes easier when one isn’t gallivanting off to some new corner of the world every day. Having friendships that last longer than a week or three is important too. All kids are different, but the friend issue was a biggie for my sons. We had a fantastic experience riding our bikes from Alaska to Argentina, and I wouldn’t change it for the world, but I am not blind to the fact that we all paid a price for it. Is this the ugly side of family travel? Not really – but it’s an unexpected side. It’s a side that most people don’t want to talk about, but is also a side that needs to be talked about. 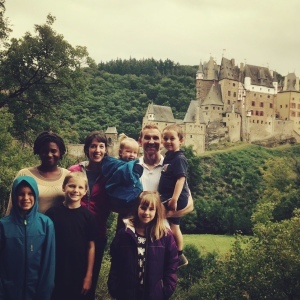 The WorldSchool Family (aka Dennings) are a family of eight who have been nomadic since 2007, travelling to 18 countries on five continents (they’re currently in Morocco). Their major motivation is experiential learning and personal growth, using the globe as their classroom and curriculum. They’re also the founders of WorldSchoolAcademy.com. 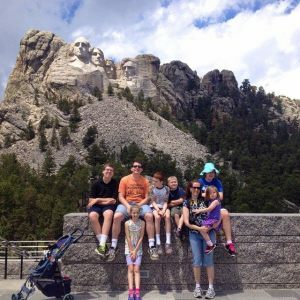 Our family of eight takes family travel to an extreme level — 18 countries, five continents since 2007. We’re officially nomadic, and we really do love it. But while some travelling families might claim costs or logistics as the ‘bad’, I’d have to say that for us it’s the ‘normal’ life stuff that we miss out on — planting and harvesting a garden, seeing the same location during all four seasons, or having a home and library to keep your books in (we love books). This is why we’re currently searching for a home base. For the last few years, Dan Miller has used his supply of airline miles and hotel points to help his family of eight travel for pennies! 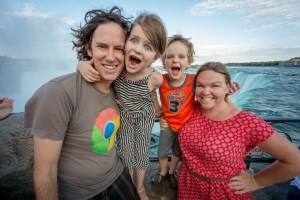 He writes the website Points With a Crew to help other large families travel for free/cheap. Some of my most fun adventures are hanging out with my family in new and interesting places. This summer we took a trip to Yellowstone and Mt. Rushmore, and also stopped by the geographical centre of the United States (outside Belle Fourche, South Dakota). The trickiest part for us is just that we travel with so many people. With eight people, it can be challenging to get ANYTHING done! We also usually have to book two hotel rooms at most places we stay, and we’re even a two-rental-car family. The cheaper options like hostels or hitchhiking that many nomad travellers do aren’t really an option with (several) little kids. One time, at the end of a loooooong day of travelling, a fellow passenger took exception to our family and told my wife and I that we were “the type of people that shouldn’t have children“. 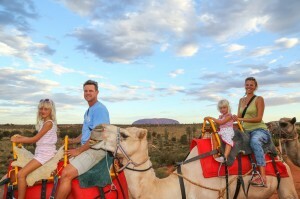 Erin Bender and her family have been travelling the world for over three years now. Their five and six year old children have been to more than 60 countries. The kids open their eyes to bigger wonders than what adult eyes glimpse. Kids have an awe about everything and they learn so completely and adjust so easily. They’re currently on the #motherofallroadtrips. The kids have both sets of parents. My husband is not working long hours away from home. He is here. We are doing it together and I see such positive growth in them from having both parents there and available. Plus it makes carrying the sleepy ones that much easier. Sometimes we all need to sleep in the same room, which can get tough for those of us who want to stay awake. We also spend many evenings at “home” since the kids aren’t yet old enough to make it much past dark. This means we can often miss out on a whole different part of a city we visit. My son broke his arm in Israel falling off a bunk bed. It was bad. I mean, it’s bad when you hurt yourself, but when your child does it’s horrible. No one at the emergency room could speak English and let us know what had happened. Later it was very hot and the whole family just wanted to go swimming, but the three year old had his arm in a cast so it didn’t happen. Situations like this can happen to anyone, but my one piece of advice would be to make sure you have travel insurance, because international health visits can get expensive. Tim Leffel’s daughter got her first passport when she was three and they went to the Yucatan Peninsula of Mexico. Since then Tim and his wife have taken her to dozens of locations in the USA and Mexico, plus Alberta and B.C. in Canada, Guatemala, Costa Rica, Thailand, Cambodia, and Vietnam. Next year they’re hoping to take a family trip to Europe. Travelling as a family gives us time to discover new experiences and form new memories together, outside of the normal day-to-day routines and familiar environments. Over time the travels have served as sort of a marker too as we’ve taken different trips at different points in our lives and have the photos to look back on as my daughter grew up. When we travel we play board games, wander through museums, take hikes, and go on adventures while disconnected from electronics; I think this is good for our family dynamic but also good for our mental health! There’s plenty to bicker about on the road as you end up making a lot more little decisions than you do in your normal routine life, where much of what you do follows a familiar script. So sometimes there are some heated arguments and parenting challenges. And of course flying is no fun these days, especially on the legacy U.S. airlines, so just getting from A to B on a plane creates additional stress and aggravation. Nothing too ugly, though one time we arrived home from vacation on New Year’s Eve — which wasn’t very bright in retrospect. We had to get to our home on top of a mountain in Guanajuato, Mexico and there were no taxis to be found or called at the bus station where we arrived. We took a public bus to the centre of town, holding onto all our luggage, but couldn’t find a cab there either. We ended up having to haul all our bags to the top, huffing and puffing at 7,000 feet above sea level, to get home. On their seventh year of travel, 15 countries and many personal changes later, Lainie (mum) and Miro (16 year old son) continue to slow travel, living an inspired possession-free-lifestyle, volunteering and learning naturally from the world. They are the founders of Project World School, which features immersive world learning experiences designed for homeschoolers, unschoolers and life-long learners across the globe. 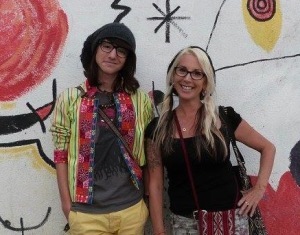 Travelling with my son Miro has been the greatest gift of my life. Through the laughter, fears, discoveries, adventures and the quiet moments experienced together, our mother-son relationship has forever changed. We have just entered our seventh year of slow travel and the things we value have shifted too. We’ve learned to slow down, be present with life and collect memories, not things. Travel has furnished us the opportunity to allow inspiration to flow freely through us. Together, my son and I have gained a profound trust in one another. Most of all, we adore and support one another, and have adapted a partnership paradigm which pairs perfectly with travel. I don’t think this particular challenge is “family” oriented, rather it is universally human. Travellers make relationships, form friendships and ultimately experience loss. Saying goodbye is part of this lifestyle and it’s something one has to become accustomed to. As travellers, we have to savour each moment we have with others, as if each moment will the be the last. As travellers, we intrinsically know everything is temporary. While Miro and I were in Cusco, we were robbed. As a parent, every possible scenario ran through my head: my responsibility to my child’s safety, well-being, the feeling of violation and being the protector. Do I believe this will happen to all long-term family world travellers? No. It could happen anywhere, even in my home country. But I do believe we have the choice to handle the situation without creating prejudice for the particular country and continuing on with our lives. For me the process took a while, but as a travelling family, we moved through it. 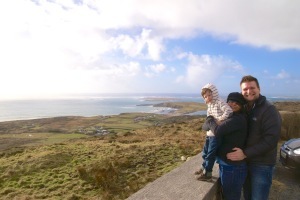 Caz and Craig Makepeace are on a mission to prove travel does not have to stop after kids. They just completed an 18-month road trip around Australia and are currently planning to do something similar across the USA. I can leave all the hassles and busyness of normal life and spend quality time with my children. It’s about strengthening our bond together and creating memories that will last a lifetime. We have so many stories from our travel experiences that we talk about often. It brings us so much joy. Being together 24/7, it’s difficult to manage this with a lack of space. You need to plan for everyone to have their own downtime. This affects those who travel more long-term as a family. We were staying in interconnecting rooms in a hotel in Melbourne. It was checkout time. Craig was in the basement packing the car, I was packing the suitcase in the room while the girls were watching TV. Or so I thought until my eldest daughter came to ask me where Savannah was. She had somehow escaped out the hotel room door. We were staying in an eight-story building on one of the busiest streets in Melbourne. Needless to say I was terrified – she could have been anywhere. I ran to the basement to see if she was with Craig and when she wasn’t, my daughter and I started running through the building trying to find her. Craig bolted to the lobby to find her sitting on the chair at the check-in counter with a glass of orange juice. She had popped herself in the elevator and pressed the ground button! She was only two at the time! It was a scary moment. So make sure you lock your doors so children can’t escape out of them! The ladies on the front counter knew our girls so grabbed her when they saw her walking around without us. So it’s a good idea to let staff be aware of who your children are when you check in. This Danish family of three travelled the world full-time for over 15 months before setting up a home base in Europe from which they travel regularly. There are so many upsides to family travel, that it is hard to narrow it down. We wanted to travel around the world, both because we wanted to see the world, but also because we wanted to spend more quality time together as a family. We were too stressed up and absorbed in an everyday life that was all about career, bills and not having enough time for the stuff that really matters. Travelling did the trick! 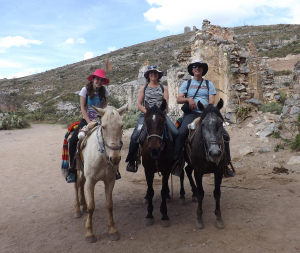 Not all families are suited for a long-term travelling life, but it worked for us, and as a family we became a very tight little group of travellers. Also, we see so many things from different angles because Anton (our son) is with us all the time to bring his perspective into it all. Another plus-side is that when travelling with kids, you have to slow down. Take time-outs… Days on a playground with other kids etc. It forces you to travel differently. We simply need some space from time to time, just to unwind. Travelling long-term becomes a lifestyle and it is not the same as just being on a two-week vacation. So we allow each other an occasional museum visit, a movie or a guided tour alone, whilst the other part stays with Anton. Another downside is that you cannot just go out for dinner one night if you want some “couple time”. Honestly we’ve not really had any bad experiences. Apart from the obvious tourist scams in Bangkok, where taxi drivers tried to rip us off. But I strongly advise anyone travelling with children to always have good insurance coverage. Well, any traveller should have that of course, but particularly when travelling as a family you really do not want to end up not being properly covered when it comes to theft, accidents and health/medical. We’re from Europe, so we are not used to thinking about healthcare. In the U.S. we make extra sure that we we’re well covered! Do you have family travel experience? Share your good/bad/ugly stories in the comments below! We are also a travelling family, but we are only three person. We are being traveliing since the first year of our daughter and we have visited Europe, Senegal, Sri Lanka, Maldivas, Cambodia, Malaysia, etc. wiht her. The best: She is learning new things, sees other cultures, and learning other languages. The bad: We cannot always travelling because Macarena is 10 years old and she needs going to the school. 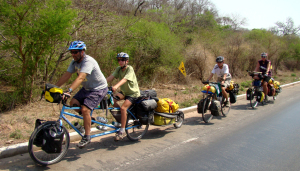 The ugly: Travel is expensive, and we need work hard to be able to travel as soon as possible. What a great and important article!! Thanks for including our story! Don't subscribe All Replies to my comments Notify me of followup comments via e-mail. You can also <a href='https://www.creditwalk.ca/comment-subscriptions/?srp=4465&srk=2648578ecea05c83754707575dc5a494&sra=s&srsrc=f'>subscribe</a> without commenting.